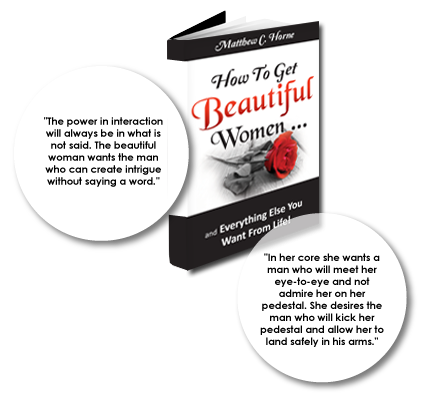 Matthew C. Horne has unveiled the blueprint on How To Get Beautiful Women, as well as everything else men want from life! In his new book, Matthew C. Horne examines the thought processes of beautiful women and shows you how to be the man she desires. The concepts in "How To Get Beautiful Women and Everything Else You Want From Life!" are groundbreaking and unparalleled. Order Your Copy NOW! 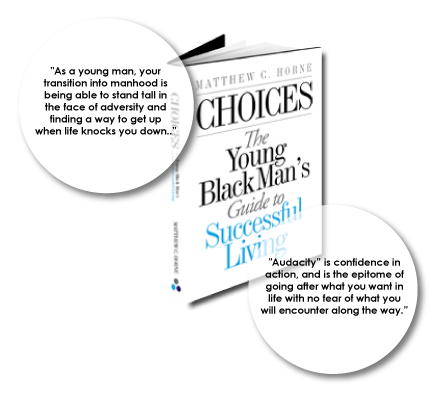 Matthew C. Horne has written the quintessential guide for young black men to create their life, their way, in the midst of negative imagery of them pervading the airwaves. Whatever dream any young black male can create for themselves will be seen through a light of possibility after reading "Choices." As human beings we innately have the desire to go beyond our current condition, resulting from our nature which is to continuously evolve. 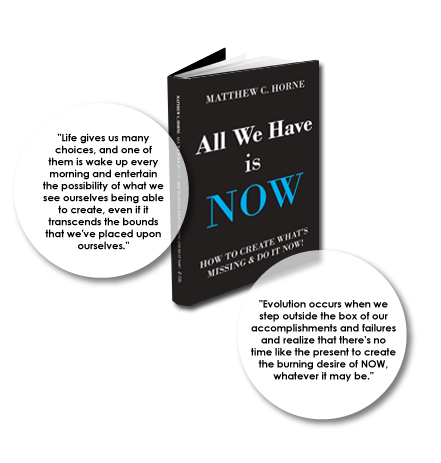 "All We Have is NOW" is the guide that shows how to create anything that is missing in your life, with the urgency of NOW. Freedom from the chains of the past, and from the fears of tomorrow will be broken with every turn of the page of, "All We Have is NOW." �All We Have is NOW...is a powerful guide which inspires us to rise to the occasion of being the great, creative and unstoppable beings that we were originally designed to be...offering valuable insights on how to leverage and build on the most precious moment set before us...NOW!" 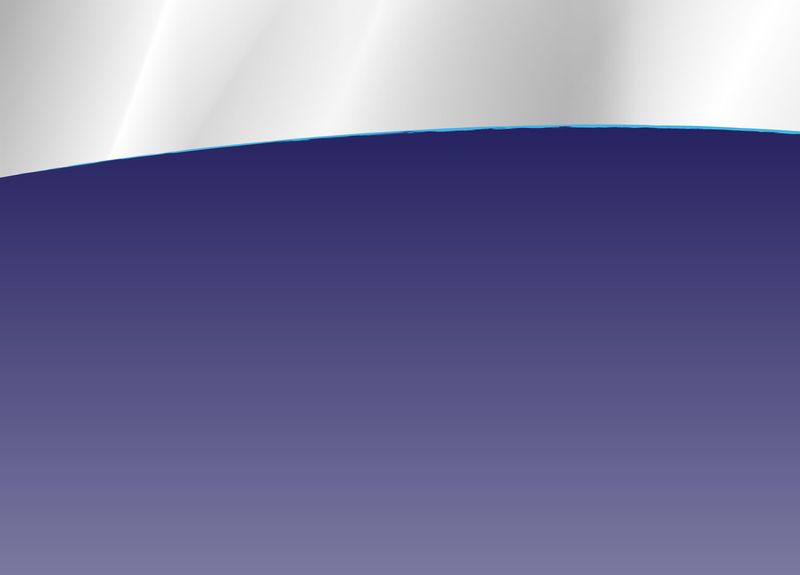 �The Universe is Inviting You In" is The book for discovering your true self! If questions such as: What is my "It" in life? plague your internal dialog, then the answers will become more apparent to you with every turn of the page! 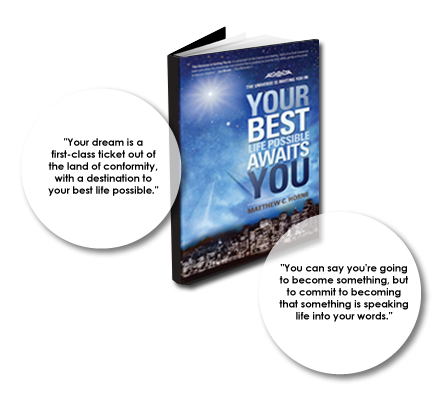 With the guidance provided in this book, you'll have a deeply embedded belief that your dream is possible, irregardless of any setbacks you've encountered in life. “The Universe is Inviting You In is a great tool on the road to your destiny. Each of us must choose our path and utilize the knowledge and wisdom that is guiding our journey from within, giving us the power to live our dreams."